I hate Windows 8 mostly becuse everything is messed up, especially Start menu which existed from the first version of Windows, and everyone used to use it. Windows 7 has all that we need, and one day smart guys from Microsoft decided that everyone will have to go buy their Surface tablet with Windows 8 on it. Well, they were wrong. People doesn’t like a new style theme in Windows 8 or Windows 8.1 and wanted Start menu back! 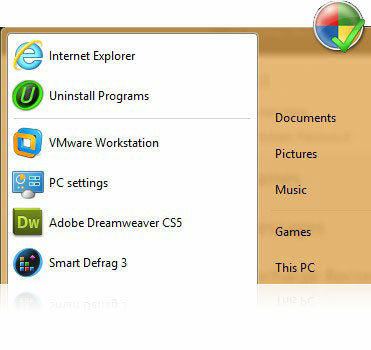 Now, we have a really nice choice of old style Start menu that’s look like classic Start menu of Windows 7. Our favorite is IObit Start menu 8 because it is really simple, small and free program that does just what we need – repairing Windows 8 so people can actually start using it. This installation comes with some free programs, so if you don’t need them, just deselect it when installing this one. For more info and download you can visit IObit’s website: http://www.iobit.com/iobitstartmenu8.php . Enjoy!